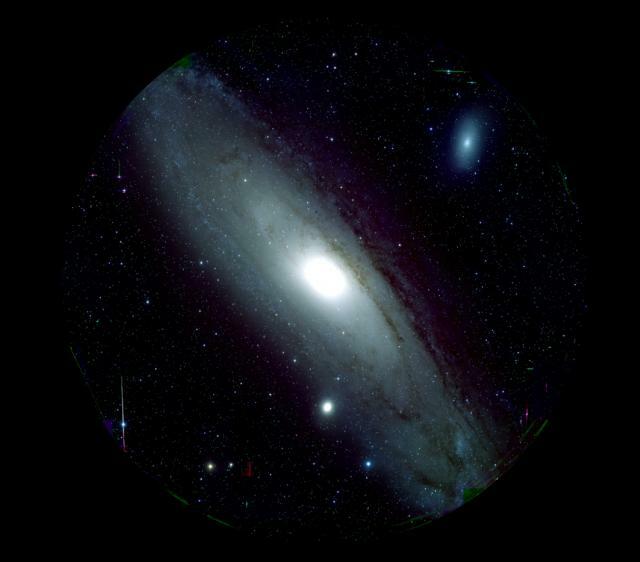 A stunning image of M 31 captured by Subaru Telescope’s Hyper-Suprime Cam (HSC) displays the fruits of international collaboration and technological sophistication aligned with cutting-edge science. In addition to providing information about a nearby galaxy that resembles our own, this image demonstrates HSC’s capability to fulfill Subaru Telescope’s intention of producing a large-scale survey of the Universe. The combination of a large mirror, a wide field of view, and sharp imaging represents a giant step into a new era of observational astronomy and will contribute to answering questions about the nature of dark energy and matter. It marks another successful stage in HSC’s commissioning process, which involves checking all of HSC’s capabilities before it is ready for open use.